Try Fasta's latest creation -- Chicken Rice Pasta! Try Fasta’s latest creation — Chicken Rice Pasta! 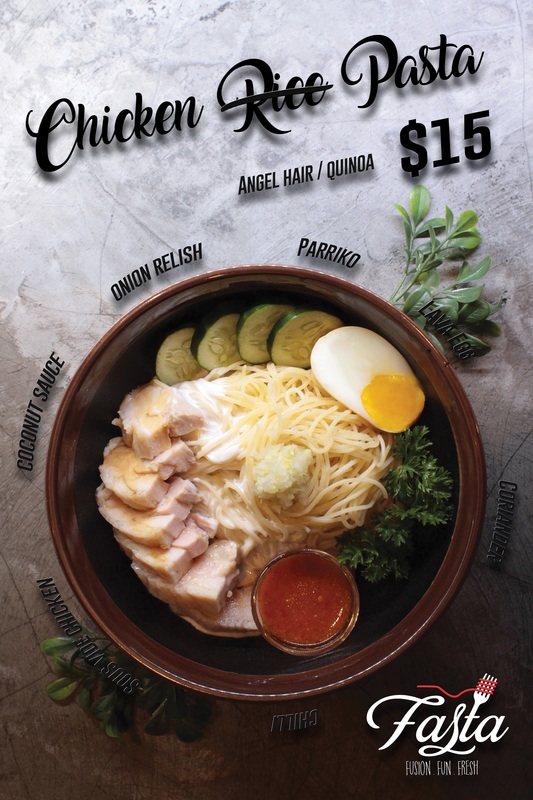 Yet another adventurous take on a local delight, we’re in love with Fasta’s latest creation, The Chicken Rice Pasta – a fabulous mash up of our perennial favourite Hainanese Chicken Rice and Italian noodle cooking. It’s definitely the perfect lunch time crowd-pleaser! Yums!